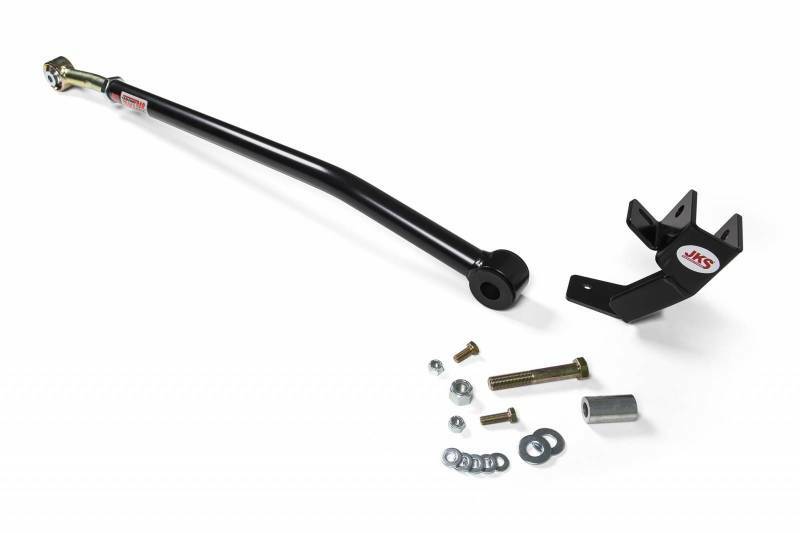 The trackbar controls lateral movement of the axle housing. It is attached to the chassis and axle on opposite sides of the vehicle with flexible mounting points to accommodate suspension travel. 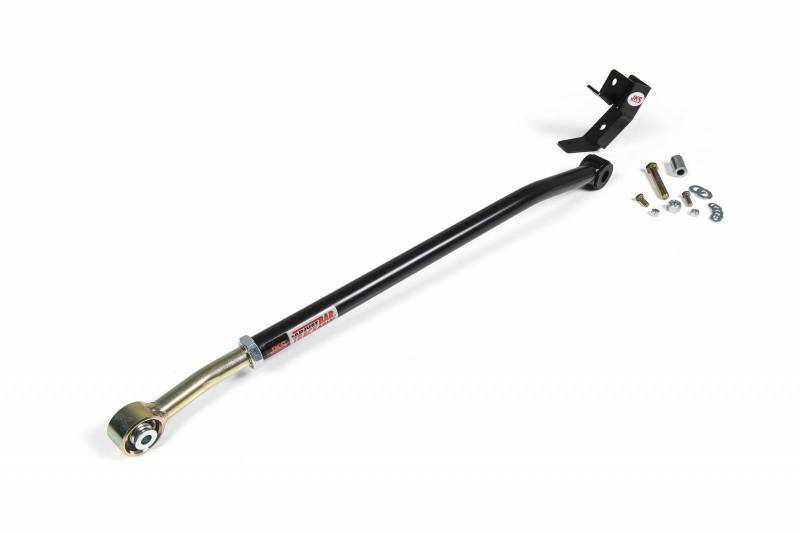 Unfortunately, the fixed length of the OE trackbar won't accommodate ride height adjustments. Changing the distance between mounting points forces the axle housing out of alignment with the rest of the vehicle. 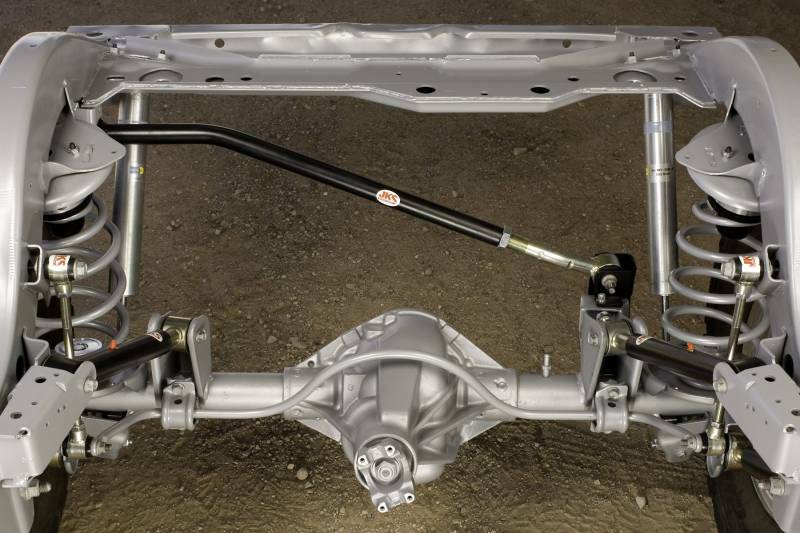 Unless corrected, this condition will place unnecessary stress on related suspension and steering components, create alignment problems, and prevent proper suspension & swaybar disconnect operation.